Written by: Jerome Jennings, global product manager, SPX Cooling Technologies, Inc.
Gearboxes are used as speed reducers to slow the rotational speed from the incoming motor to the outgoing fan of a cooling tower. Companies that operate high-capacity production plants, such as those in the chemical process and power industries, require cooling towers with large amounts of heat rejection capacity. 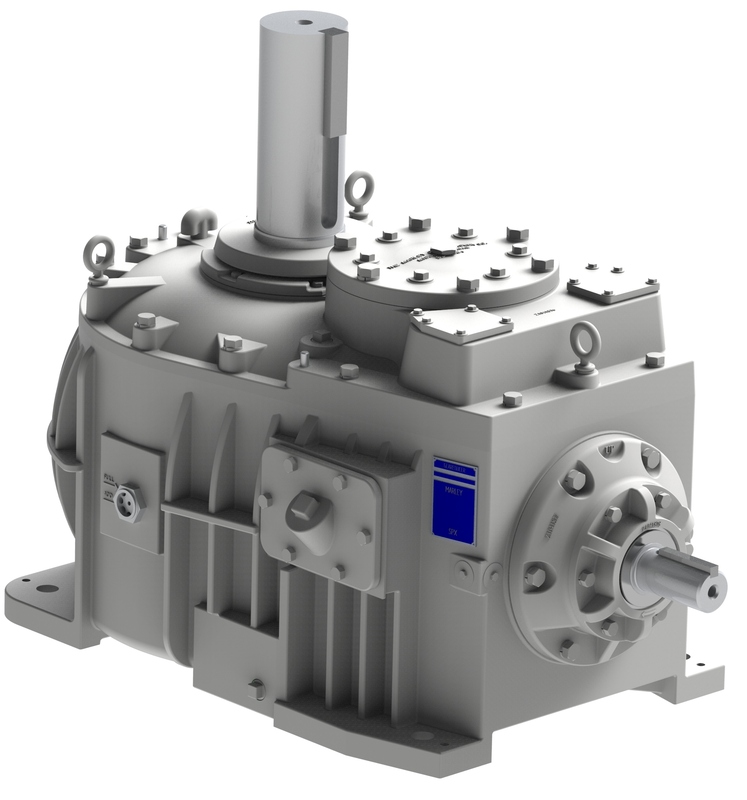 To address high operating temperatures, select a gear drive with integral “cooling fins” designed into the housing. Without gearbox technology, cooling tower motors would be massive to directly handle the torque required by the fan. Something so large and heavy would be too expensive and impractical. 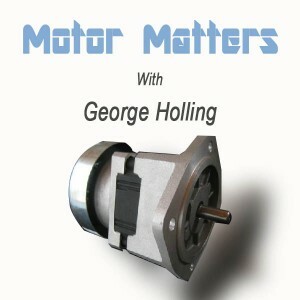 Instead, the speed reduction from the gearbox acts as a torque multiplier, keeping the motor a reasonable size and the overall mechanical system more cost-effective. The speed reduction from gearboxes also optimizes the performance of the cooling tower fan. As fan diameters increase, the fan speed must decrease to maintain acceptable sound and vibration levels, as well as to ensure the structural integrity of the fan itself. 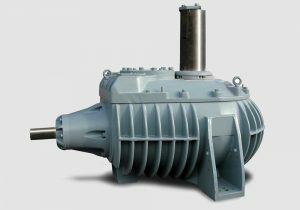 Improper gearbox sizing as it relates to the motor and fan can result in excessive vibration, loud operation and structural damage to the tower. 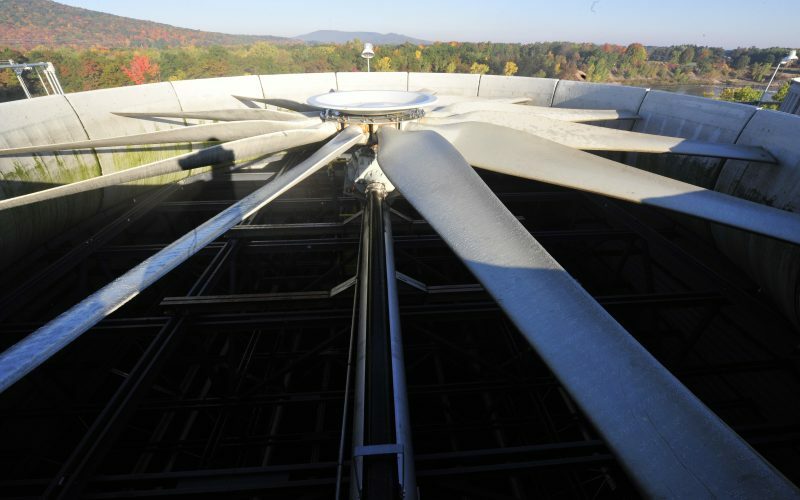 In large cooling tower applications, the fan typically operates at a speed between 100-200 rpm. The most common motor speed is 1800 rpm, requiring the average gearbox to reduce motor speed by approximately 9-18 times to achieve the desired fan speed. The exact combination of this gearbox ratio, fan blade design and fan pitch contributes to the specific performance and energy efficiency of the cooling tower in a given application. 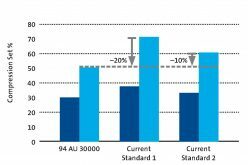 Issue 1: High operating temperatures, which can contribute to shorter operating cycles, premature gearbox failure and unplanned downtime. Issue 2: Excessive sound and vibration levels, which can result in municipal noise violations, employee safety issues, equipment fatigue and premature failure. Issue 3: Extreme temperature and humidity conditions within the cooling tower, which can quickly degrade mechanical systems, affecting sound level and life of bearings. Issue 4: Premature bearing failure and excessive wearing of the pinion shaft. 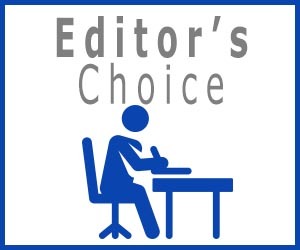 Issue 5: Few gearbox options and choices to support either scheduled or unscheduled maintenance and replacement. Solution #1: To address high operating temperatures, select a gear drive with integral “cooling fins” designed into the housing. In lieu of a smooth casting, the cooling fins increase surface area, allowing better heat rejection as air is pulled over the gearbox by the cooling tower fan. For example, Marley Geareducer brand gearboxes include cooling fins, which increase the surface area by 25-47 percent compared to other cooling tower gear drives. Geareducers also incorporate large internal oil ports to keep oil well circulated and contribute to overall cooler operating temperatures. The results: Oil life is extended, fewer oil changes are required, and gears and bearings are properly lubricated to maximize performance and service life. Solution #2: To dampen excessive sound and vibration levels associated with gearboxes, select for robust metal castings. Choose a gearbox engineered to minimize the case deflection associated with the immense torque and thrust loads specific to cooling tower duty. For example, Marley Geareducers feature up to 40 percent thicker castings and are designed and built expressly for cooling tower service. The results: Quieter, safer working conditions, less metal fatigue and longer service life. 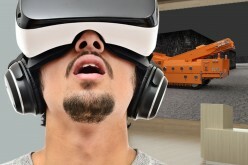 Solution #3: To counteract the extreme temperature and humidity conditions that cooling tower gear drives are subjected to, steel shims at case connection points offer advantages. Steel shims, in lieu of plastic versions, are incorporated into all Marley Geareducer designs, for example. 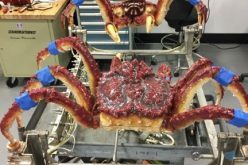 Plastic shims exposed to temperature and humidity conditions within the tower can creep over time, causing changes in tolerance that affect the sound and life of the bearings. 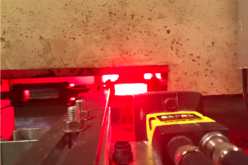 The results: Steel shims maintain proper gear settings and control gear sound under extreme operating conditions. Solution #4: To guard against premature bearing failure and excessive wearing of the pinion shaft, use heavy-duty double row interstage bearings. Bearing life of 100,000 hours is routinely achievable. 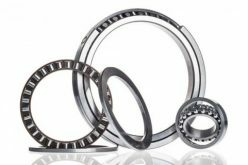 A premium-grade isolator-type bearing oil seal with fixed stator sealing surface to prevent shaft wear is also recommended in lieu of a lip type seal that wears against the pinion shaft. To illustrate, Marley Geareducers incorporate an Inpro/Seal bearing isolator (Waukesha Bearings Corporation) which extends seal life without the downside of excess wearing of the shaft. 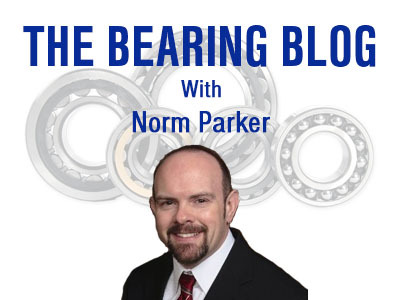 The results: The use of heavy-duty double row bearings and oil seals can protect gearboxes from premature wear and extend service life. Solution #5: To expand gearbox repair or replacement options and choices for either scheduled or unscheduled maintenance, choose a reliable supplier with specific knowledge of gear drives and an extensive inventory of cooling tower componentry. For example, SPX Cooling Technologies offers a dedicated in-house gearbox evaluation team, experienced in the inspection, repair and rebuilding of both Marley and Amarillo brand gearboxes. Gearbox repairs are completed at the SPX manufacturing plant, rather than contracted to job shops. To speed completion, avoid delays and additional costs, transportation to and from the plant is included. 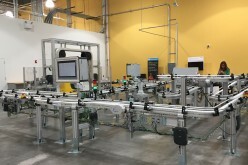 A recent SPX engineering innovation has been the expansion of the Marley Geareducer line. The new M Series Geareducer, which debuted in early 2017, simplifies replacement of gearboxes in field-erected towers that do not currently employ a Marley Geareducer. The M Series is a direct “drop-in” replacement for Amarillo brand gearboxes, with a matching footprint that greatly simplifies gearbox change-out procedures. The M Series Geareducer broadens the compatibility of Marley gearboxes and makes conversion easy and affordable. A viable new alternative for gearbox replacements is important to plant operators. The M Series eliminates time-consuming conversion parts, such as fan hubs, driveshafts and adapter plates and the added material costs and field labor time they require. The reduced time and effort onsite means a safer installation and less overall downtime for the tower, and a more reliable and affordable installation for the plant. The M Series combines the proven longevity and performance of robust housings and bearings with modern seal enhancements and built-in vibration transducer mounting. It can be expected to provide reliable service for 12 to 15 years with proper maintenance before major repairs or rebuilding is a factor. It doesn’t require any external pumps, filters or coolers to run properly, sparing customers extra unexpected costs and other add-on components that could become problematic. The M Series Geareducer provides the solutions customers want from an industrial grade cooling tower gearbox. 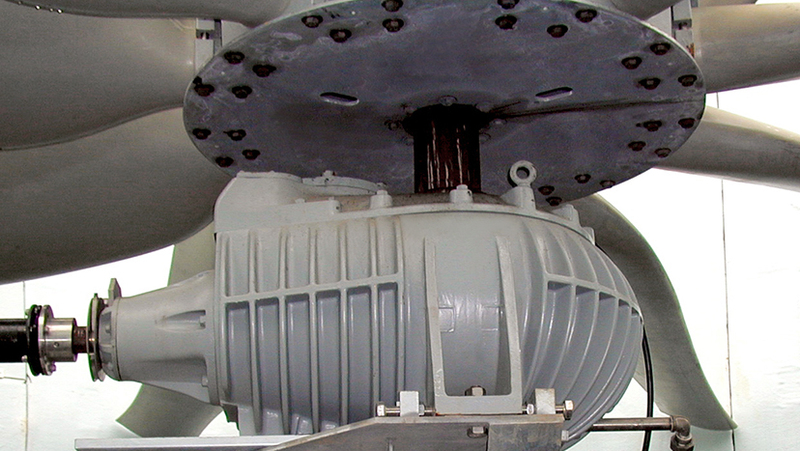 Cooling tower gearboxes reduce motor size, optimize fan performance, and protect structural integrity. Plant operators and maintenance engineers must effectively manage a variety of cooling tower service issues, whether scheduled or unplanned. Finding common-sense, long-term solutions to the most common pain-points not only simplifies routine maintenance and repair operations, but goes a long way to alleviate service anxiety. Reliable gearboxes and dependable suppliers provide a sense of security that maintenance and service issues can be managed methodically instead of in crisis mode. 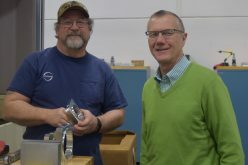 About the Author: Jerome Jennings is a global product manager for field-erected components at SPX Cooling Technologies, based in Overland Park, Kansas.